Kate manages HWB Oregon’s state workers’ compensation defense practice. With over 12 years of experience in the field, she takes pride in her role as a problem solver for her clients. 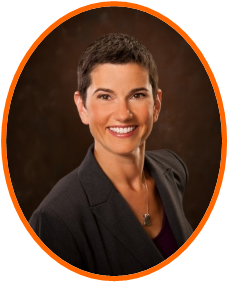 Kate is very active in the Workers’ Compensation Section of the Oregon State Bar and currently serves on both the Executive Committee and the Access to Justice Committee. When she’s not working, Kate enjoys spending time with her husband and two young children. Corinna has worked on the employer side as a Safety Manager and implemented successful data-based programs that significantly reduced workers’ compensation claims and costs. Her programs are recognized at the state and national levels. Using her background in research, she has implemented data analysis to support on-going client risk management objectives. She evaluates operations, management practices, and risk management policies of clients and assesses effectiveness in obtaining risk management goals. Corinna is actively involved in several professional associations including the Risk and Insurance Management Society and the Council of Insurance Agents and Brokers. She currently serves as the President-elect of the American Society of Safety Engineers (CWC chapter).